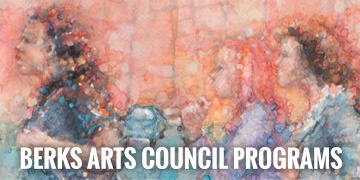 Berks Arts Council – Keeping the Arts ALIVE in Berks County! 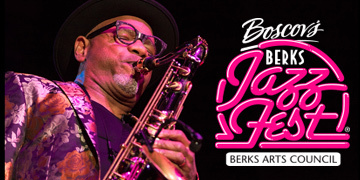 The 29th annual Boscov’s Berks Jazz Fest as presented by the Berks Arts Council once again will glitter with a galaxy of stars performing April 5-14, 2019. 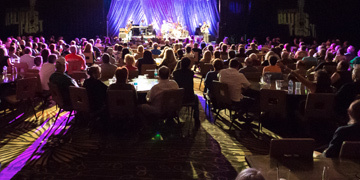 The 10-day Jazz Fest will be epic in scope, talent and genres with a multiplicity of concerts at venues large and small. The official registration and financial information of the Berks Arts Council may be obtained from the Pennsylvania Department of State by calling toll free, within Pennsylvania, 800-732-0999. Registration does not imply endorsement. Through the creation and support of varying art events, community collaborations and grants, the Berks Arts Council positively impacts our community cultural and economic well-being. The mission of the Berks Arts Council is to inspire, unite and grow our community through arts collaboration, education and presentations. Our vision is to support community and economic growth, promote positive change and create a more connected community. Today, in everything the Berks Arts Council does and supports, we seek to make Berks County, PA a more creative, more desirable, and a more resilient community.